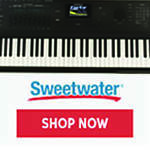 Register Log In Piano World Home Page Forums Piano Forum 10K Uprights: Used Steinway K-52, New Seiler Konsole, Or? 116 registered members (Animisha, AssociateX, 1725237, AaronSF, AnnInMiami, agraffe, akc42, ando, 24 invisible), 1,111 guests, and 4 spiders. BTW, there is only one size for the Seiler Konsole: 122 cm = 48 in +/-. Their Konzert is 132 cm = 52" +/-, but several K more expensive. So far, I have been able to locate a dealer with Schulze Pollman and CR Walter locally. I think I also saw Petrov. I would love to try out some of the others just to educate my ear and fingers more...any ideas of dealers in the midwest (near Minneapolis best)? You could then save the leftover money for your next grand. Oooh, Axtremus, you had me right there with you until you brought up the BM's (interesting acronym). Pianos I am a know nothing, food, on the other hand, I've had a great deal of experience with. I have to say you undermined your argument with that one! (Lotsa smiles goin' on here.) Have to agree with AKindWord re "world class" definition, and concern about McDonald's meat for that matter. (If you visit NYC, try Bouley...haven't been there in a while but the three best meals I ever had were prepared by David Bouley and co., used to have prix-fixe meal at lunch that was a steal). That's OK. I just don't think I should throw a term like "world class" around without stating the criteria to qualify. We certainly don't have to agree on the criteria, but that sure beats talking "world class" in the dark without knowing that we fundamentally disagree on the underlying criteria for "world class." 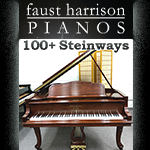 If you reference Penny's list of pianos, with the exception of Mason and Hamlin, Pleyel, and Bohenia uprights, I'd very comfortably compare Yamaha U-series favorably to the uprights bearing all the other names she listed. 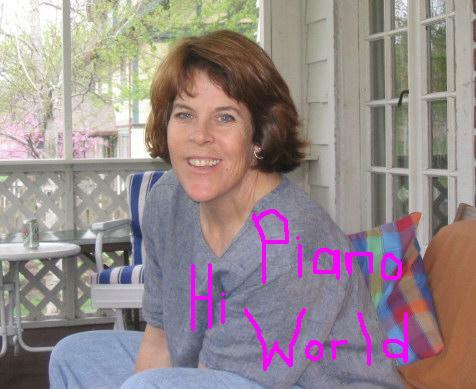 That is my honest opinion based on the pianos I've played. (And there will be disagreement as there always are here.) The reason Mason and Hamlin upright is excepted because I think it plays better than the rest. The Pleyel and Bohemia uprights are excepted because I have never played them. As for Grotrian and Bechstein uprights that Penny also mentioned, I have not played them either -- and they very likely fall in a completely different PRICE class altogether. As for whether bringing up the Big Mac undermined my own argument -- perhaps. But having sampled burgers from various cafes, restaurants, burgerstands, and other franchises, I think my estimate of only 1 in 5 of these cafes/restaurants/burgerstands/franchises make a better burger than the Big Mac is a good one. That's kind of the way I think of Yamaha U-series -- if you take a look at the whole picture, it's quite probable that the U-series are better than 95% of all uprights produced. You can certainly turn your nose up at the U-series and pursue the top 0.5%, but I think being in the top 5%-ile is pretty darn good. Good luck with your piano quest. I have tried Yamahas, and IMHO (very very humble here) thought they sounded a bit brassy maybe? I might not be using the right word. I think I might prefer a warmer tone. I have no idea which models I've tried so maybe I should got back and give them another go. Here is link to Bouley...I know that he's gone through a couple of restaurants lately, but his latest incarnation is supposed to be a return to the one I love. 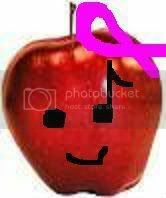 Sorry sorry sorry if I am breaking any rules here. Karen.... my opinion again... just as a player who loves trying pianos..
the Charles Walter consoles are incredible. Funny how people like Horowitz, are quoted saying things like " My concert piano has a rich bright sound"
Adjectives like bright, warm, dark,are in the "ear" of the beholder. 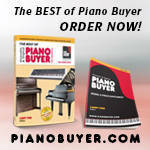 independent piano salesman selling most major piano brands from time to time around the country. I just went out and tried the Schulze Pollman and Charles Walter. While the SP looked beautiful, I actually liked the tone of the Charles Walter better (just like you Apple!). The tech said that he could adjust the tone for brightness to get a more personalized sound?! Guess I'm still eager to try the Seiler! Thanks everyone for all your comments! What's nice about the Walters is that the keys are weighted nicely and play like a grand. Bouley is ~400 feet from my job. He rides a Ducati last I saw. Yes I recall reading that he liked his motorcycles, and he used to date Bernadette Peters...quite the dashing man last I saw him (admittedly quite some time ago). Have you been there, isn't it a great restaurant? Axtremus - Hope you make it there! And I hope it's as good as I recall. Apple - yes, I'll be revisiting Walters if I'm not in love with the Seiler. No, too costly for my paper-bag lunch mentality, too far from my home (it's nearly a 10 minute drive off peak) for restaurant hopping. I'm very Brooklyn-centric lately. Sorry I am piggy backing to this thread because I just joined this forum and cannot find a way to post a new post. Please forgive me. I am in the market for an upright. I'd prefer to spend less than 10K but am willing to go up to 15K if necessary. The reason for the upright - we live in a small townhouse in Philadelphia. Our living room and dining room is one room measuring roughly 13 feet by 35 feet long. The plan is to buy an used upright and once we have time and money to dig down our basement (and find that it is still dry) we will buy a used grand costing no more than 30K. The reason for the piano - our daughter in third grade will likely attend the local conservatory in the next two years. And just so I don't sound like a tiger mom, when she started her first lesson two years ago at six and half years old she had already spent three years asking me to take her to a violin teacher. I had a negative experience being pushed by my parents to be a classical pianist as a child and refused to pursue a musical career because I hated how my parents was using me as a bragging tool. Luckily this now allows me to practice with my daughter when she works on her violin sonatas and concertos. Our daughter practices on a violin (on loan from one of her teachers) and my 800- dollar key board so we hope to get a better sounding piano. This April she will acquire a violin at auction that will be purchased between 40K to 100K. Before jokes start, this is somewhat of a finance hardship for us but we've chose to keep out kids in public school because we knew we could either do private school or pay for things such as this. We make enough to qualify for no aide but not enough to do both. My daughter will stay home while attending the conservatory six blocks away. I'd like to buy the piano from Cunningham as I remember it fondly from twenty years back when I was in high school. But I wonder if I should look outside of my city for a non upright that isn't Steinway. I would love to have a Steinbrager or Bosendorfer but I don't think I can find a good one used less than 15K. My question - should I try to cinch our belt a little more and spend what it takes to get a used Steinbrager or Bosendorfer? You are all experts out there, would you recommend something I should buy? Thank you so very much for your time in responding. >>But for $12K you have a lot of great verticals to choose from besides the Seiler. Steve, talk about leaving me hanging!!! I am a know nothing, can you fill me in a bit? I thought Larry Fine put vertical Steinway in the top bracket. They're reviled? "Reviled" is way too strong IMO. The fact they they may be difficult to tune(I think the recent PB's say much of this problem no longer exists) is not much of a concern to the buyer unless they plan to do the tuning.